Eat proper meals,at a table. and never snack is my advice, and don't eat unless you are properly hungry then stop when full. Don't ever pick mindlessly,at food. Never eat for a reason other than hunger.... 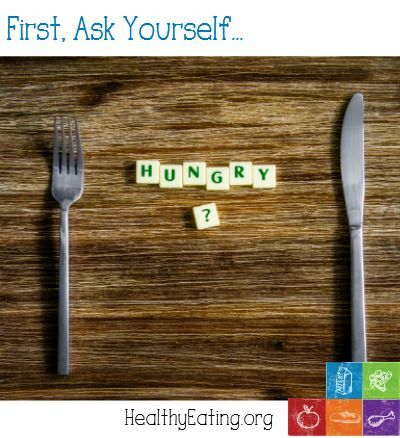 If you’re used to eating frequently, say five or six meals a day, and you aren’t hungry at mealtimes, then stop. Switch to a lower meal frequency. The reverse is also true. If you want to eat 5-6 meals a day, that’s fine. Just make sure you’re letting yourself get hungry. When you stop eating all of the foods that you enjoy, you are much more likely to give in and binge. Instead of extremely restricting your diet, follow a flexible plan that lets you have a few treats. If you eat a little of what you enjoy on a regular basis, you are less likely to binge eat. Yet eating when you are hungry and stopping when you are comfortable is one of the keys to healthy eating and living, says Linda Bacon, PhD, nutrition professor at the City College of San Francisco.